Under the Mediterranean sky, the lands of spices from the East combine with ancestral treasures. An Eau de Parfum with a Mandora note wraps us in the indulgence of Orange Blossom. 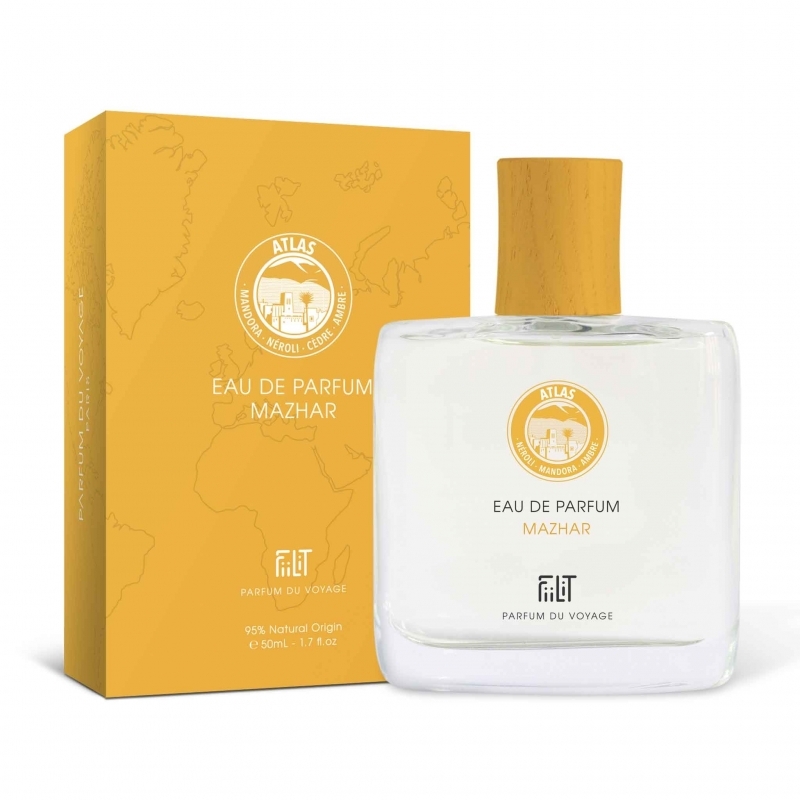 MAZHAR is an oasis lost in the valleys of the Atlas mountains, diffusing this soft perfume of Neroli water. The essential oil of Neroli is a soothing and balancing nervous and fight against the palpitations and the high blood pressure.. Its formula base of alcohol of Organic Wheat is guaranteed without phtalates, without parabens !